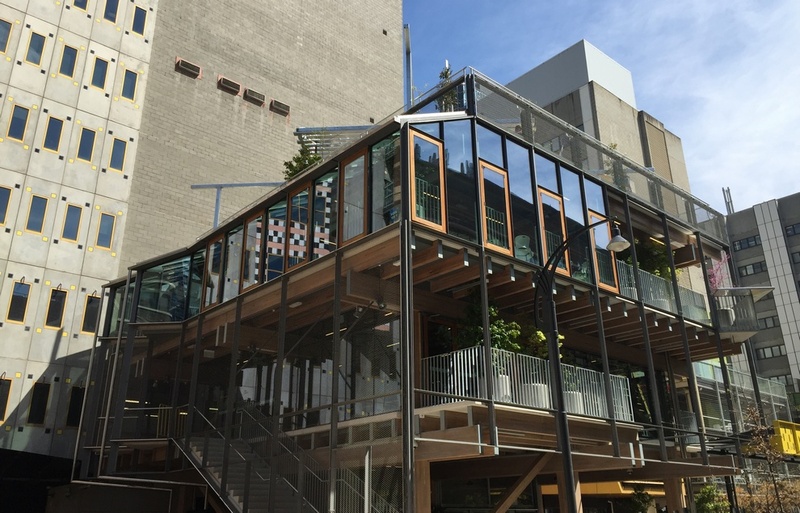 The Garden Building, situated within RMIT University’s City Campus, Melbourne, Australia, is a four-storey open building and terrace at the centre of the university’s New Academic Street (NAS) precinct. The NAS precinct is the result of a five-year project to transform the heart of the university’s city campus. Five architecture practices and a landscape architecture practice collaborated to deliver a diverse design solution to redevelop the lower levels of four existing campus buildings and create two new infill buildings. The Garden Building is a flexible learning space offering a publicly accessible ground level, two levels of open-plan learning and break-out spaces topped by a roof-top socialising area. 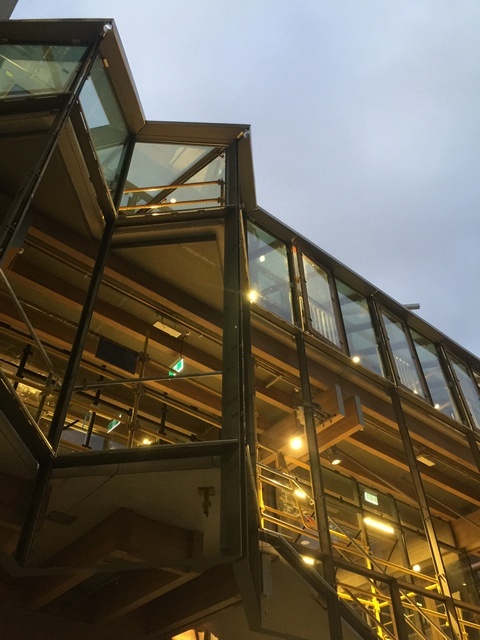 The building’s structure is made from a fabricated, glue-laminated timber that has lower embodied energy than concrete and steel and a greater strength than traditional timber. Inhabit was engaged to provide façade consulting services on the project. The outer façade is comprised of custom-fabricated jumbo-size steel frames typically spanning 2.4m in width and are up to 14m high. 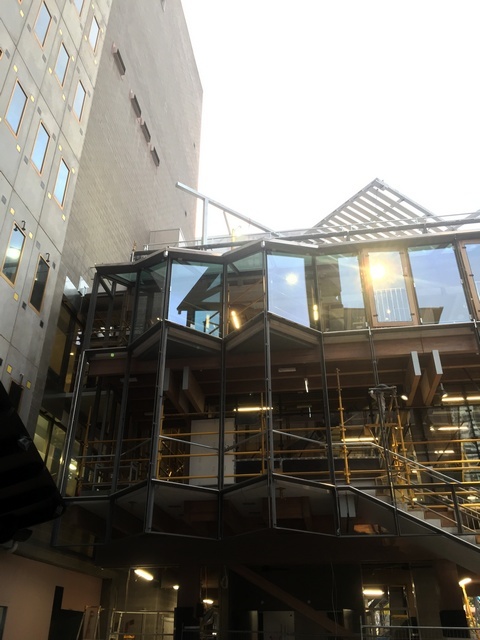 These architecturally stylised slim-profile steel frames provide the supporting structure for a variety of façade treatments including tensile mesh, fixed and skylight glazing, balustrades and BMS integrated operable timber sash doors. As the fully timber-framed building ages so too will it’s appearance due to the variety of active plant life that has been designed to grow and occupy the tensile mesh and climbing rods within the façade, transforming it into a true garden building. 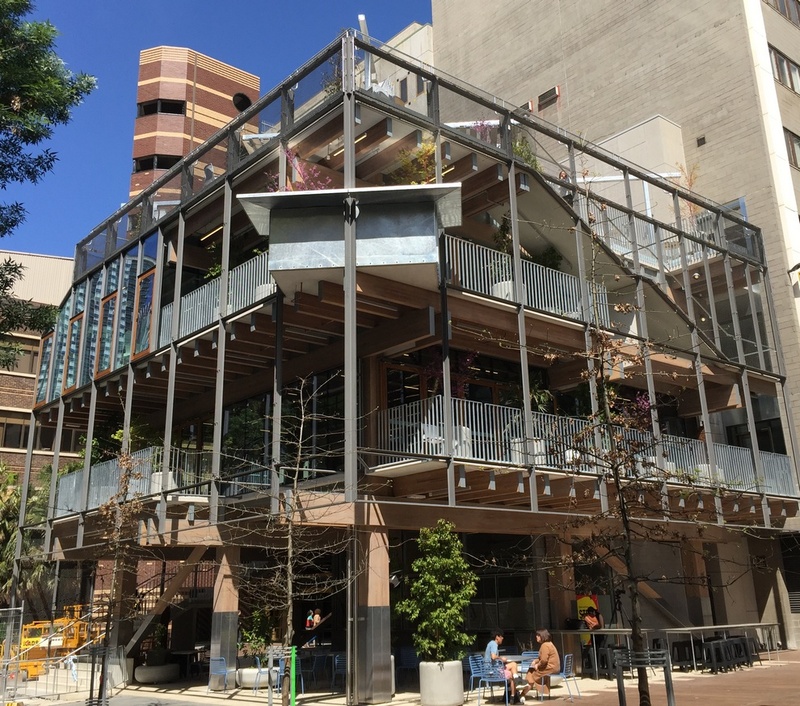 The building has earned a 5 Star Green Star Interiors Design rating from the Green Building Council of Australia under a pilot tool. Recognised for its excellence in design, the RMIT NAS project won The Daryl Jackson Award for Educational Architecture and the National Award for Urban Design at the 2018 National Architecture Awards and six awards at the 2018 Victorian Architecture Awards.